Stump Root Apk is an application for LG Android devices to root their device easily. With the help of Stump Root Tool, you can root your LG device with just one click. There are many other applications also such as TowelRoot, FramaRoot & Poot which supports one click root. Generally, if you root your device then you need to unlock the bootloaders, flash files etc which is quite tricky and takes a lot of time. But if you are new in rooting then Stump Root application is for you. You can root any LG device with Stump Root application easily. The man behind this application is jcase who is an XDA Developer. Stump Root makes low-level changes to your device for getting root access. Before using any rooting application make sure that you have taken the complete backup of your data. Stump Root is not officially available on the Google Play Store. You will have to download & install it’s Apk package file manually. Here we have shared the direct download link of Stump Root Application. You just need to click on the download button and the downloading process will begin shortly. You can use GbWhatsapp even without root on your mobile phone. You can root any LG device with this application. No need of PC for rooting your mobile. Less failure of the root. Installing the Stump Root on Android is an easy process. Follow the below-given steps to install Stump Root successfully on your mobile. At first download the Stump Root Apk file from the link shared above. Once you have downloaded the Apk package file enable the installation from Unknown Sources if you’ve not done yet. After that open the Apk Package File and click on it. Boom! 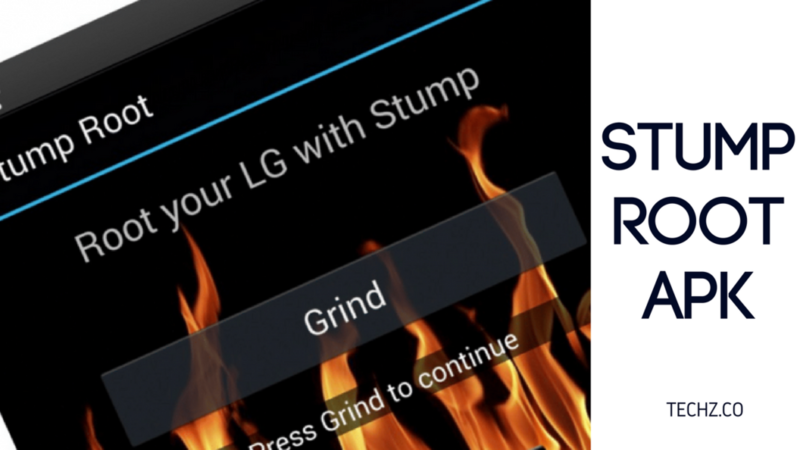 Now Stump Root will successfully be installed on your LG mobile phone. You need to install the Stump Root application on your mobile phone before preceding further. The installation process is shared above. After that open the Stump Root application from your app drawer. After opening the application click on the Grind button. Wait till the root process is being completed. After that Reboot your device. Now download SuperSU from Google Play Store for root permissions. To check whether your device is rooted or not, download Root Checker application from Play Store. Once, your device is rooted then you can uninstall Stump Root application from your mobile phone. If you own a LG device and looking to Root without many efforts then Stump Root is the perfect application for you. With the help of Stump Root app, you can root your mobile phone with just one click. If you are having any trouble or any query regarding this app then please ask it in the comments section below. If you loved this guide then don’t hesitate to spread it to your friends. Keep visiting for more updated of Stump Root app.